The Vera Bradley Nylon collection is now available and it is gorgeous! They are being offered in Caviar (black) and Scarlet (red) and I am really liking the red bags! 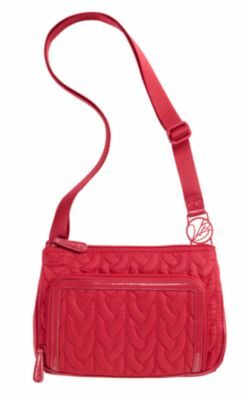 I might have to add the Crossbody bag to my wish list. My latest Vera Bradley purchases! Start getting cash back with Ebates!